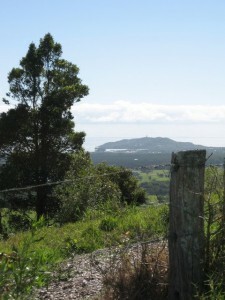 One of my favourite views of Byron Bay light house (north coast of NSW and way off in the distance) on a hazy afternoon. Weather has been a bit stormy and overcast lately. Hope you are all enjoying your Friday Sky Watching. 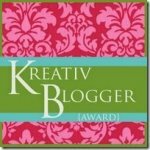 Thank you to Shirley from Reflections On Life for this ‘Kreativ Blogger’ award. It is really sweet of bloggers to take the time to say hello and comment on the creative things we share. Now it is my turn to share with other bloggers, of which there are lots of great folks to choose from but here is a few you might like to meet. Sarah & A Beach Cottage (down under), if the Vinnie’s man ever finds out what she does with her shabby chic finds, the prices are sure to increase and that might drive inflation back up ! Thank you to Alison Gibbs of Victoria who was my swap partner for this year’s vintage stocking swap. Alison created a stocking from beautiful fabric with a story to tell. Just perfect considering the kind of year we have both had. 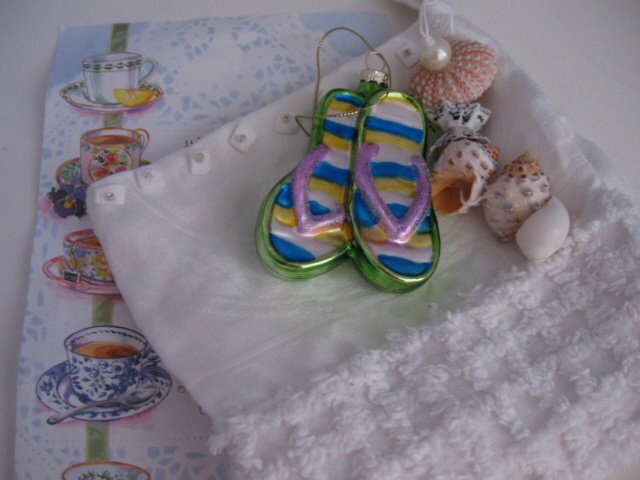 The world might be a crazy place right now for many of us but she kindly found the time for detailed stitching and find a collecting of beautiful little beachy themed Christmas decorations. More photos to come soon as we have a moment and can’t wait till Alison opens my parcel to see what we found for her. Mary Ann of Follow Your Bliss hosts vintage shabby swaps and itty bitty books regularly. Well worth putting her on your must read list to see what she is planning next. A beautiful view, and I love how green the grass is. Excellent quote, too. I’ve seen that bay on other blogs and think it is just so pretty! What you said is so true, we also take the things we have slosest to us for granted.<BR/><BR/>Good capture again this week. Lovely view, indeed. And the picture before as well. I appreciate reading your words too. Cheers! Beautiful view. What a great reminder via the quote. It’s beautifully composed as are the words. That’s a beautiful scenic photo. That’s a beautiful quote and one we should all remember. Love the view as well! Never been to Byron Bay, but it’s on my to-do list! Mandy: That was a neat capture for you to share today for SWF. Love that area, its gorgeous. "A bit stormy and overcast" is an understatement isn’t it. I thought you would have got the rain that’s been flooding Queensland. 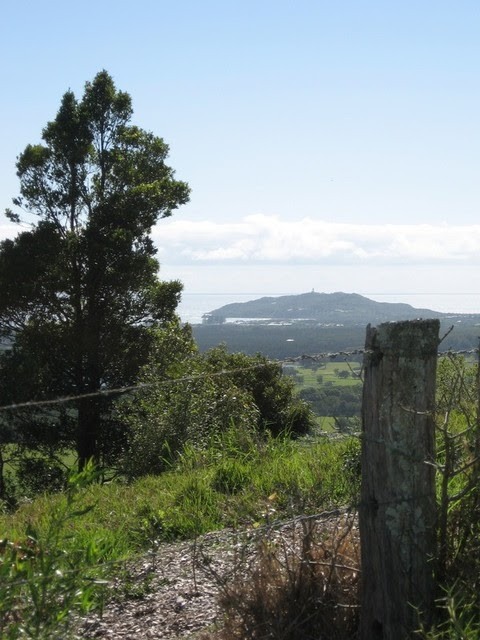 Nice view of the lighthouse even if it is very far in the distance. What a nice view I am glad you took time to share. Happy SWF. This is beautiful view.Fantastic.<BR/>Happy SWF. I love your quote today! It’s so true. 😀 Don’t put off enjoying the moment. Beautiful vista! Great words, as well. I can see why you like this view. Who wouldn’t? I rather like that cloud layer. Well done. I love the view. Awesome.<BR/>We had lots of cloud’s here in Mo today. See ya next week.<BR/>Happy skywatch friday! I always love your Sky Watch photos, Mandy – but I think this is my favorite one of all! Gorgeous capture! The view is gorgeous and the thoughtful quote very appropriate. WOnderful view, we do often miss the things right under our nose! Such a beautiful photo Mandy – so very peaceful and serene!<BR/><BR/>I also wanted to let you know that I’ve left you a little something over on my blog too! Beautiful shot and very nicely framed! Oh.. so true! Thanks for reminding me … to take time! <BR/>Beautiful photo! That really IS quite beautiful!<BR/><BR/>Congratulations – You deserve it!!! That certainly is very beautiful. Congratulations on the blog award! Woooo-hoooo!